4 Bedroom Detached House For Sale in Spalding for Asking Price £399,950. DUE FOR COMPLETION APRIL/MAY 2019 WITH A CHOICE OF FINISHES. This four bedroom executive detached home is being built by locally renowned builders Nigel Morris Builders Ltd and occupies a fantastic plot with open views. 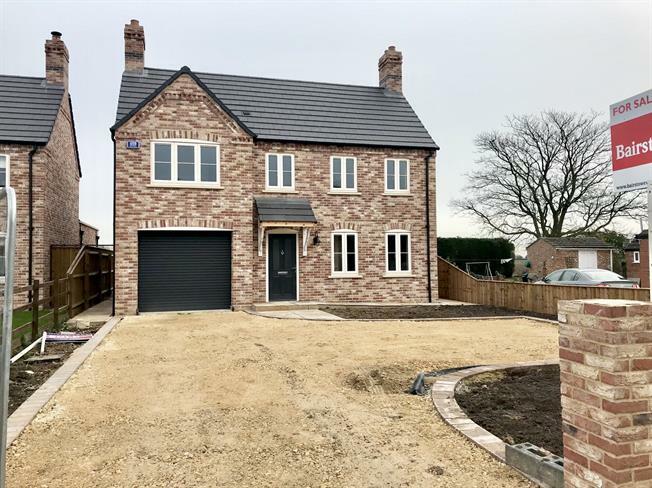 Being completed to a very high standard, the property will benefit from a good sized lounge with log burner, large open plan kitchen diner with trifold doors, utility & WC. The first floor has four good sized bedrooms with two of them having en-suites, as well as a family bathroom with three piece suite. Externally there is a driveway providing ample off road parking, an integral single garage and a rear garden that has the additional benefit of an Indian slate patio area.